Every day, a child expresses a simple trust in those caring for her. Unless she is in unusual circumstances, she knows all the essentials for life will be provided: food, shelter, clothing and healthcare. She knows that her safety and well-being are being monitored; chances are good that education and other opportunities for growth and success in life are within her reach. Most often, it’s her parents providing these valuable feelings of security and belonging for her, although in some cases it may be someone else, and in a growing number of situations it will be grandparents stepping in to provide these basics for her. There’s another basic need that a child needs in order to thrive, although it’s less tangible. It’s a pervasive confidence, an awareness that she is special and loved, and she has someone who believes in her no matter what. 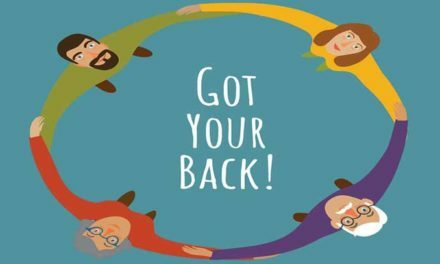 Ideally, she has many people in her life who provide that for her, starting with her parents—although life is seldom ideal, and parent-child relationships are always complicated by daily challenges, expectations and commitments. As a grandparent—especially if you aren’t raising your grandchildren—you have a special bond with your grandchild that’s different in significant ways. Your relationship is characterized by unabashed joy, unwavering commitment, and unconditional love. It’s felt in the robust burst of life that surges in your body when you see or touch your grandchild or hear his or her voice. You’re also very aware that life is short and opportunities with your grandchildren should not be missed. Being a connected grandparent is life-enhancing; it gives you purpose. And you have important values and memories you want to pass on to future generations. Those are just some reasons why you’re in a perfect position to help meet this other, less tangible need in your grandchild’s life, and you can do it through blessings. A blessing is an answer to the question, “What makes me happy and joyful about my granddaughter or grandson?” which is then expressed in an affirming way. It’s a positive and clear message that you are overjoyed with the privilege of being a grandparent, and you are committed to fulfill that role as a blessing-giver. It could be verbal, in a compliment or even in a spoken prayer. It could be in writing, through a text, email, or best of all, a handwritten card or letter. A blessing can even be given without any words, through a hug or pat on the shoulder, or a wink or nod with an approving smile. Really, blessing your grandkids should be more than a singular event or act. It’s more of a mindset or attitude of seeking to help them flourish, by creating the right environment and seeking to build them up with love and confidence. 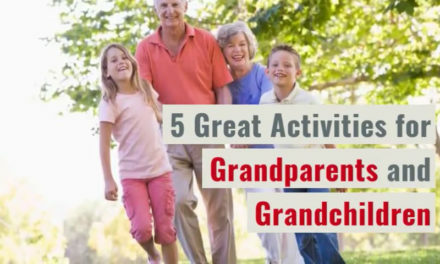 That may sound easy, but it definitely isn’t for some grandparents. The idea of giving a blessing may prompt you to reflect on what you didn’t receive from your grandparents—or your parents. Whether it was due to premature death, distance, family disruption, low cultural expectations for grandparents, or something else, you never heard statements like: “You’re special.” “You’re incredibly talented.” “You’re a joy to be around.” “Just being with you inspires me.” You have few, if any, memories of encouragement flowing from your grandparents. You can understand their situation; it many ways it makes sense, because they never received that kind of affirmation and blessing from their parents and grandparents—if they knew their grandparents. Like many people, you survived that deficit, moved on and made your way in life. But think about it for a moment: What kind of blessing did you desire from your grandparents, that you never received? Imagine what kind of difference that could have made in your life. It may not be pleasant to recall the lack of blessings from earlier in life, and it may even be painful. But it can be beneficial. There are vicarious benefits in blessing your grandchildren in ways you wish you had experienced with your grandparents. As a grandparent now, you’re in a position to create an environment which abounds with blessings. Getting in touch with your family history will help to define what kind of grandparent you want to be. So, with your past in perspective, what makes you happy as a grandparent? Thinking specifically about one of your grandchildren at a time, what joy, satisfaction and meaning do you derive from being his or her Nana, Papa, Grandma or Gramps? What unique characteristic or quality do you see in your grandchild? What do you see when he smiles at you? What makes you grateful about being her grandparent? What do you enjoy most about being around him? What is something you know she is good at? What makes you laugh together? What is something he did which demonstrates he is growing in wisdom and maturity? What is an obstacle she has overcome? These questions—and other similar ones that you come up with—will help you frame spoken blessings and create an environment that will make your grandchildren want to visit you often. Please take seriously this role of blessing your grandchildren. We can’t afford to be inattentive or lose focus, and possibly leave them vulnerable or at a greater risk to struggle in confidence, security and trust. Be tenacious as you bless and love them.